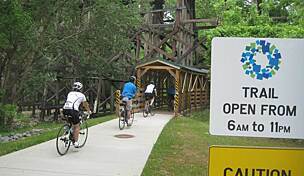 Trail end points: University Ave. and Lena Ave. 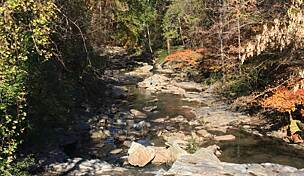 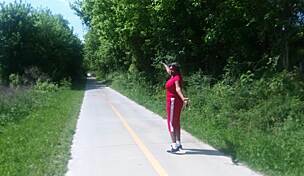 The Westside Trail offers a tree-lined route in Atlanta, running from University Avenue to Lena Avenue along the former Louisville and Nashville Railroad. 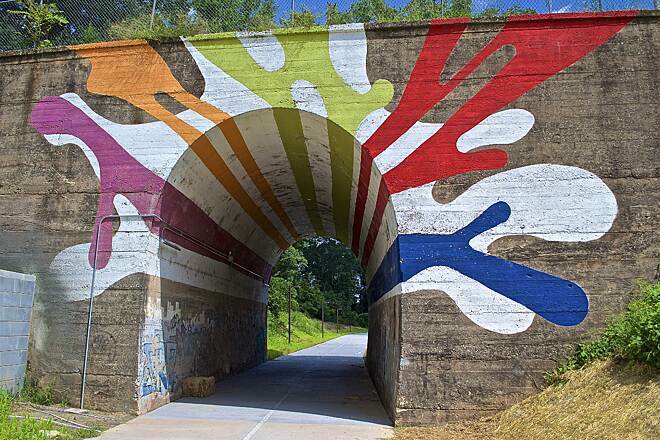 It connects the historical neighborhoods of Adair Park at its south end, Washington Park at its north end, and West End, Mozley Park, and Westview in between. 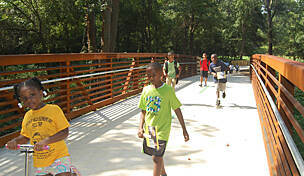 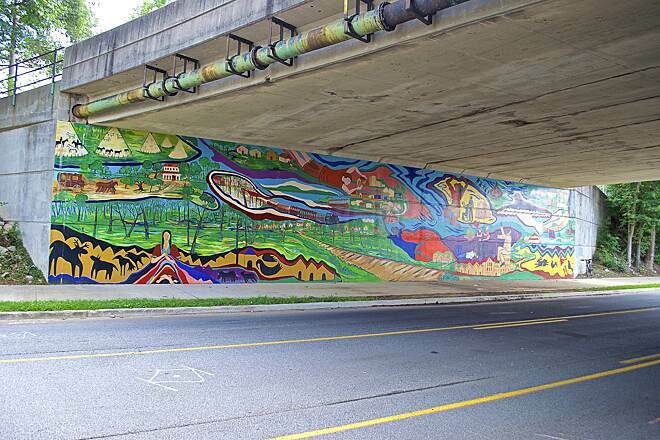 With a centerline separating one direction from the other and an underpass beneath I-20, the paved rail-trail offers an easy and convenient way for residents to get around town. 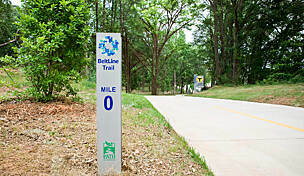 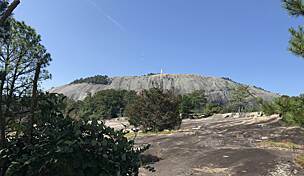 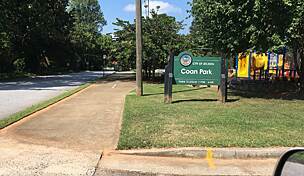 Opened in September 2017, the trail is part of the developing Atlanta BeltLine, which will be a 33-mile trail network throughout the city. 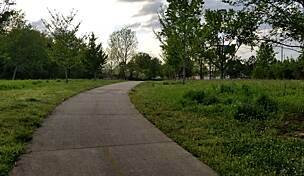 For a half mile along White Street, the trail will overlap another section of the Beltline called the West End Trail. 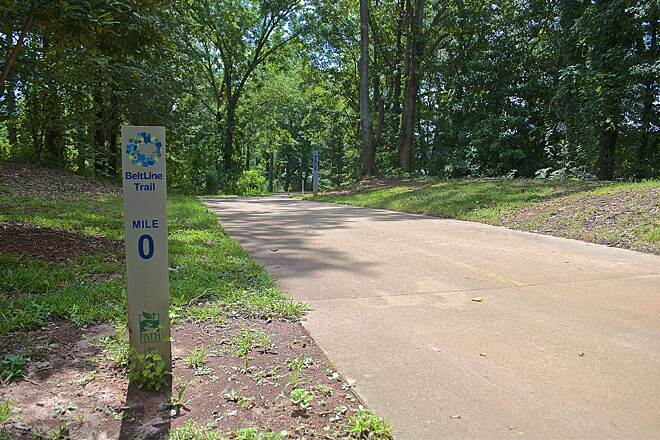 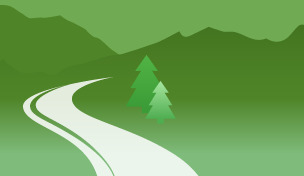 Although only on-street parking is available for the trail, it is easily accessible by public transportation. 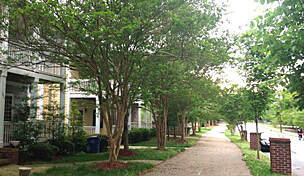 On its north end, the Ashby rail station on MARTA’s East-West line is only a short walk or ride away. 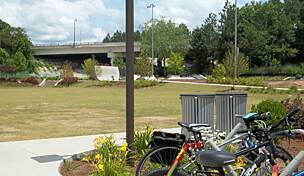 On the south end of the trail, the West End rail station on MARTA’s North-South line is close at hand.